In today’s complex healthcare sector, developing a frictionless revenue cycle requires a deeper understanding of the hospital’s business processes, along with robust software skills. 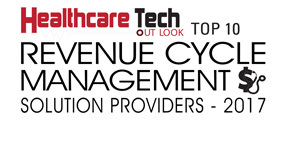 Most healthcare organizations are focused on optimizing and configuring the revenue cycle management software to increase their bottom line. Despite having expert healthcare administrators and staff, hospitals and physician groups still face impediments in harnessing the potential of revenue cycle technology and setting up intelligent workflows, causing a significant impact on their revenue cycle. Healthcare organizations are on the lookout for professional consultants who can guide them through the trivia of hospital technology. Having been ‘in the trenches’ serving as nurses and claims managers for more than two decades, Blue Eagle Consulting’s (BEC) top notch team is uniquely positioned to assist healthcare providers across a wide range of projects that include performance management, revenue cycle management, system upgrades, and reports and analytics. “Our consulting services are time-tested, proven and have a success rate of 96 percent, which enables us to deliver consistent results and enhance the return on the time and technology investments,” elucidates Mark Griffin, President of Blue Eagle Consulting. BEC’s subject matter experts invest a great amount of time to analyze the customer’s IT environment, understand their pain points and objectives, and subsequently craft solutions that are scalable and sustainable. To accelerate the operational process and bridge the gap between clinical providers and reimbursement optimization, BEC provides a proficient resource who acts as an intermediary between doctors and the billing department. By understanding the complex revenue cycle, BEC’s skilled team helps healthcare providers to evaluate the financial management process, and ensure their organization is collecting maximum reimbursement for the services delivered. Blue Eagle also has an extensive network of medical coders who can assist at any stage of the project from planning and strategy, to the activation phase. Griffin cites a scenario, where one of BEC’s hospital clients faced issues with hierarchical condition categories (HCC). There was a gap between the coding and clinical department which impacted the business operations. The hospital had used 30000 HCC codes, but the codes were not placed on specific patient’s problem list, which forced them to shell out more money on Centers for Medicare and Medicaid Services (CMS). By leveraging BEC’s consultancy and software solutions, the hospital was able to bridge the gap between patient’s clinical data and coding departments. Processes were put in place to review charts and add HCC diagnosis. They were able to increase the risk adjustment factor by billing all HCC codes each year and removing HCC codes that were no longer valid. By providing HCC risk adjustment coding services to Medicare Advantage plans, BEC’s consultants completed accurate risk assessment and submitted the risk score before CMS deadlines. The firm’s forte lies in their dedicated consultants who have the profound operational experience to integrate hospital’s IT systems with workflow management to deliver top quality patient care. “Our consultants have practical experience with all the leading technology systems and software that includes Epic, Cerner, McKesson, Meditech, Siemens, NextGen, Allscripts, Athena health, and eClinicalWorks; to name a few,” states Griffin. Blue Eagle Consulting looks forward to forging a low effort, low risk, high return partnership with healthcare clients with a deeper emphasis on their consulting services. With an incredible track record of assisting hospitals, health plans, and physician groups, BEC prides in “delivering the deliverables”.